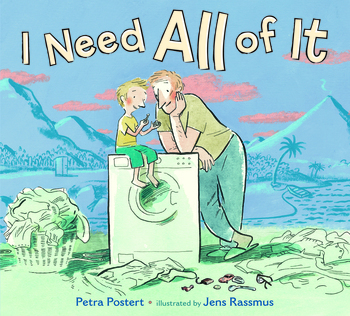 In Petra Postert and Jens Rassmus's illustrated I Need All of It, a little boy recounts to his father the tales of how he received the three objects in his pocket and why he needs to keep them. Petra Postert has studied journalism, history, and art history in Eichstätt, Germany, and Ohio. She worked as an editor and author for SWR radio. Now, she writes children's books and children's stories for the radio. Petra Postert lives with her family near Dusseldorf. Jens Rassmus studied illustration at the Hamburg HAW and the Duncan of Jordanstone College of Art in Dundee, Scotland. He has illustrated and written many other books, for which he has been awarded several times, three times with the Austrian Children's and Youth Books Award. He was nominated for the German Youth Literary Prize in 2005. He lives in Kiel.